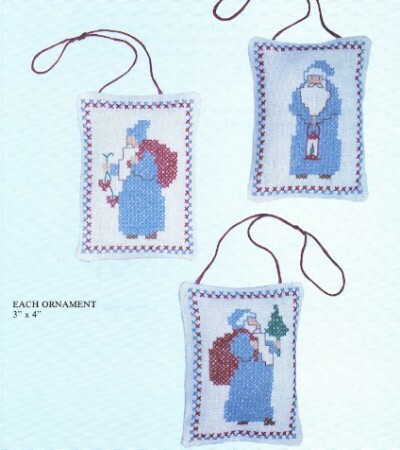 This cross stitch stamped sampler Christmas craft kit has three cross stitch Santa's all in blue with various toys . Santa seems that he is on his way with glee to some unsuspecting child. This cross stitch printed sampler compliments 396/ Christmas Ornaments and both kits completed will make for interesting conversation.